As Abercrombie & Fitch continues to struggle financially, the teen apparel retailer has been desperately searching for new ways to attract customers. 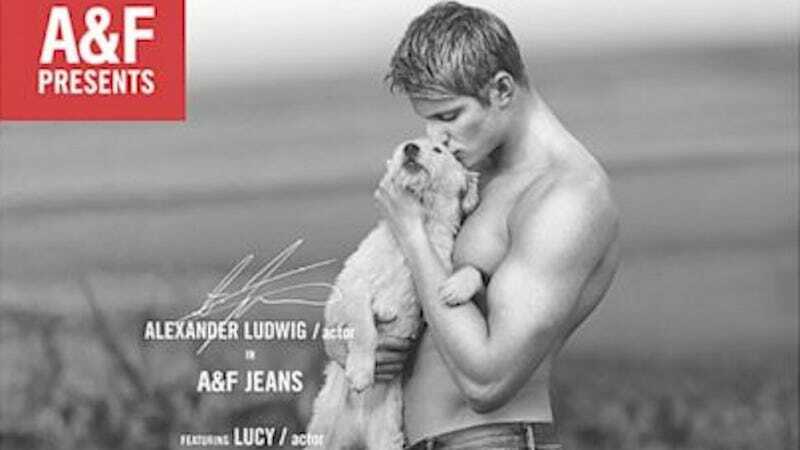 The latest tactic: saying goodbye to its signature advertisements depicting shirtless youths groping each other. Executives tell Women’s Wear Daily that the company’s latest campaign will feature less sexual imagery and higher quality, more minimalist clothes (modeled by Neelam Gill). Abercrombie & Fitch has been in financial crisis for several years now and, according WWD, has “closed roughly 300” stores over the past few seasons. In 2012, the company—which has always prided itself on its suburban-elitist status—began selling plus-sized clothing to expand its market and, in 2014, it dropped the “Ivy League Heritage” branding altogether. Late last year, controversial CEO Mike Jeffries stepped down and was replaced by Arthur Martinez. Kristina Szasz and Aaron Levine were brought on as head designers. Despite major personnel, product, and marketing changes, Abercrombie is still likely to have a rough holiday season (the most important quarter for retailers). With stiff competition from digital marketplaces like Amazon, the company’s battle to regain its early-aughts glory will be uphill.